Boilies have been around since the 1970s and are now one of the most established specimen carp baits worldwide. From sweet to fishy, bright to dark, tiny 10-millers to meaty 35-millers; name it, and you’ll be able to find it. 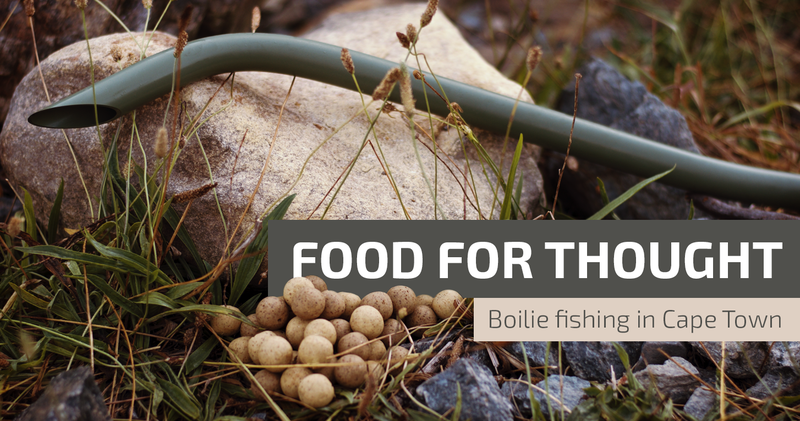 However, in South Africa, boilies are a rather new phenomenon; especially if you think about the fact that most anglers in South Africa tend to favour a good ole 'mielie bomb'. I am aware that there are syndicate dams where anglers have been fishing with boilies for a number of years now, and there are other stretches of water being targeted. But I’m talking about the great amount of waters in our country that have never seen boilies, ever. Specimen angling is starting to explode in our country; and more anglers are swopping their 'method feeder' (usually consisting out of a spiral shape wire, commence attaching an atom 'pap' bomb and you know the rest); for PVA bags, rig foam etc. I believe exciting times lie ahead for the local specimen scene and hopefully (with the introduction of boilies into our waters more regularly) our carp will become bigger and bulkier than ever before. But the big question is – how do carp react to what they have never seen, been exposed to or eaten? Boilies are specifically made for carp and contain most of the nutritional requirements carp need. Carp love to eat boilies (full stop). In my experience, when fishing virgin boilie waters in and around Cape Town, carp tend to get on the boilies straight away. Carp are generally wary, and it might take a few hours, but when they get on it, they tend to get stuck in! Making use of boilies also tend to produce the bigger fish. So if you haven’t tried fishing with boilies or are new to the specimen scene, all I can say is “get on it” because our country’s carp definitely are. Well said Wynand. BUT we still have to do more than feed with boilies. We have to feed boilies with value. We have seen here by us that fish tend to stay at a constant weight year after year. For example a fish that was caught in 2008 is still at the same weight in 2015. Reasons why nobody kmows. The dam gets fed with plenty of boilies on a weekly basis BUT does the dam get fed with nutritional boilies? We are hoping the dam will produce it’s first 40lber this winter. – What is the water quality like? Is the temperature ideal for carp growth? – What is the volume of the dam? – What is the stocking density/amount of fish in the dam? – Is there a shortage of natural food? – How much are you feeding? As most fish eat only until they are satisfied; maybe a lot of feed is going to waste and contributing to poor water quality? I sincerely hope that by posing these questions it might trigger something and help you discover the reason for the poor growth rates. All the best. Can’t wait to see that pic of the 40lber!